Changes to Amazon Prime Sharing Program: What is Amazon Household? Amazon is changing the terms of sharing an Amazon Prime membership and the new program is called Amazon Household. 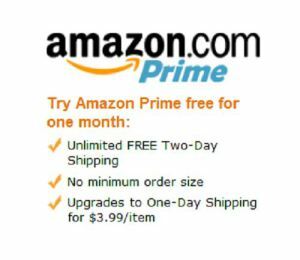 Prior to 8/1/15, you were able to share the shipping benefits of an Amazon Prime membership with up to 4 other people including co-workers. If you were sharing an Amazon Prime accounts before, you won’t be affected by the change. However, once your renewal comes up, you won’t be able to share an Amazon Prime with your co-workers or 4 adult family members any longer. The new feature, called Amazon Household, is more of a family service. Two adults will share the benefits, including shipping, Instant Video, Kindle Lending Library, and more. The four children (who don’t need their own accounts) will only be able to use features, like streaming movies or sharing books. Now, when two adults share an Amazon Household account, they will see each other’s credit and debit cards on file. Amazon Households allows you to easily share Amazon content with your family using Family Library. Setting up a household also allows Prime members to share certain benefits of Prime and Amazon Mom. Up to four children, who don’t need Amazon accounts in order to be a part of the household. For more information on creating a household, Amazon’s Family Library, Sharing Prime Benefits, Sharing Amazon Mom Benefits, Amazon Student Benefits and How to Remove Someone From an Amazon Household account go the Amazon Household home page here.